I’m sure you’ve all had products from Collection somewhere along the line. Even when it was back in the day when it was Collection 2000. Well I first picked up on this being a serious make up brand when I got an eyeshadow palette right back when I’d just started blogging. Pigmented colours and staying power showed me that high street brands could do the job and be fun too. Now I’ve been adding to my Collection collection again with these products that are available in Superdrug from 28 June and Boots from 5 July. And I think you’re going to want them too. This primer is gorgeous and can definitely be worn on it’s own for those days when you feel full makeup is too much. It has light reflecting particles for that airbrushed look. It goes on easily and is a light weight base for foundation, BB Cream or whatever you fancy next. The observant amongst you will have noticed that the photo above isn’t of a Collection product. I was wondering how I had the shade Bombshell – when it only comes in comes in shades Blonde, Brunette and Dark Brunette. So pictured is the HD Brow Creme which is great. I’ve been applying it with a small angled brush and I’m pretty pleased with how easily I can get the look I want. The Collection product which I don’t have at home but I trialled at the Pegasus retreat in Blonde was a softer shade with a touch of shimmer that worked well for a beachy look. Apologies for the confusion! I was a little surprised to see this shade Plum Diva in a summer range but it’s got SPF15 which is great and when I tried it as part of a summer look I found the balm like texture was perfect. This is my favourite pick of the new items. I love that it’s a multi purpose small palette that fits in a makeup bag I can take to work. 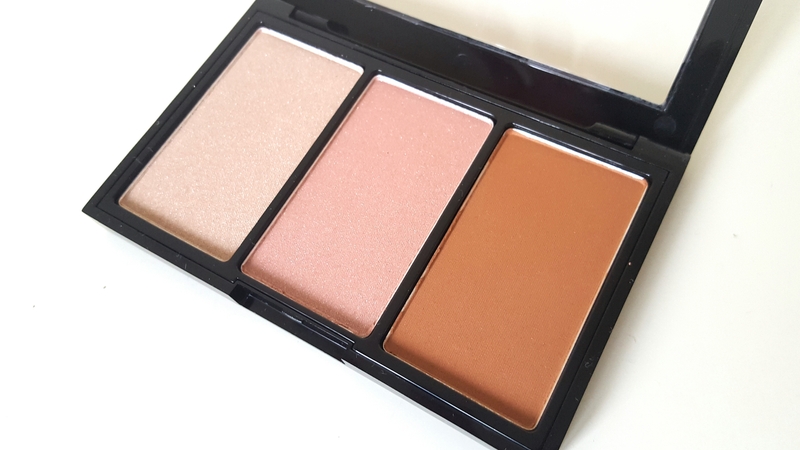 So as well as highlight, blush and bronze that you can build up as little or as much as you like for a glow or sculpted look – these are shades that you can use on the eyes too. I’m really happy with this little freshen up of my summer look and with the most expensive item coming in at £5.99 it’s really affordable. What have you bought lately to freshen up your summer look? Previous postMy 3 Step Beach Prep! I honestly haven’t tried Collection in ages, but their packaging and whole brand look seems to have come a long way. I think I’ll make it a point to check them out next time I’m in Superdrug.